A bill which would outlaw daily fantasy sports has been assigned to the Executive Committee in the Illinois House of Representatives, though with no legislative days actually left on the calendar this year, it is doubtful that anything will actually happen with it. The bill, HB6586, is sponsored by Reps. Scott Drury and Ron Sandack and was filed in June. Since then, nothing happened with it aside from an initial reading until November 28th, at which time it was assigned to the Executive Committee. Provides that a person also commits gambling when he or she knowingly establishes, maintains, operates, or offers an Internet site, smartphone application, or other similar electronic or digital media or communication technology that permits a person to play a game of chance or skill for money or other thing of value by means of the Internet, smartphone application, or other similar electronic or digital media or communication technology or to make a wager upon the result of any game, contest, political nomination, appointment, or election by means of the Internet, smartphone application, or other similar electronic or digital media or communication technology, or knowingly establishes, maintains, or operates a fantasy sports contest that permits a person to play the contest for money or other thing of value. 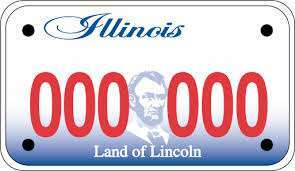 A Class A misdemeanor is the most serious level of misdemeanor in Illinois, punishable by a fine of up to $2,500 and up to a year in jail. A Class 4 felony denotes the lowest run of felonies, punishable by a fine of up to $25,000 and a prison sentence of one to three years. It is the equivalent of aggravated assault, stalking, or possession of one ounce to one pound of marijuana. That smartphone-and-the-like clause might not be completely necessary, but it was probably included to make sure all bases were covered, preventing anyone from finding a legal loophole. 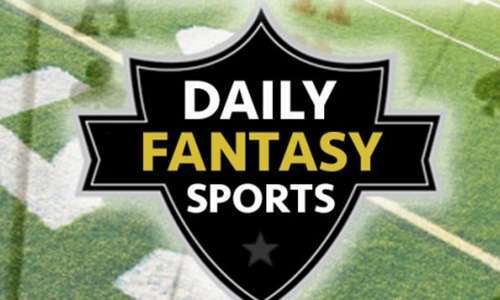 Last December, Illinois Attorney General Lisa Madigan declared that daily fantasy sports are illegal gambling. Her opinion was offered in response to a request from Rep. Elgie Sims, Jr. and the aforementioned Rep. Drury, who are the Chairman and Vice Chairman, respectively, of the House Judiciary – Criminal Committee. The statutory language is straightforward and unequivocal. It clearly declares that all games of chance or skill, when played for money, are illegal gambling in Illinois, unless excepted. While the Contest Organizers assert that daily fantasy sports contests are games of skill’ rather than games of chance, that argument is immaterial because subsection 28-1(a)(1) expressly encompasses both. Reading the statute as a whole, it is clear that subsection 28-1(b)(2) applies only to the “actual contestants” in the actual sporting event. In the context of daily fantasy sports, the “actual contestant” upon whose performance success or failure is based is the athlete or athletes whose “skill, speed, strength or endurance” determine the outcome. Thus, subsection 28-1(b)(2) exempts only those who actually engage in a bona fide contest for the determination of skill, speed, strength, or endurance, and not a daily fantasy sports contest participant who pays a fee to build a “team” and who may win a prize based on the statistical performance of particular athletes. Madigan’s opinion did seem to also include season-long fantasy under the illegal gambling umbrella, but as mentioned, HB6586 explicitly excludes it from the definition of gambling. As has been noted, considering there are no more legislative days on the House calendar for this year (and there were only three after the bill was sent to committee), it would be shocking if anything happened with this any time soon, but it is still worth noting that the bill did have some activity.